Tired of the same old department store mass manufactured purse? Wouldn't you really prefer a one of a kind, handmade in the USA, original design purse? All my purses are just that; handmade by me. No two purses are the same. This is a small, Bohemian style, over the shoulder purse. 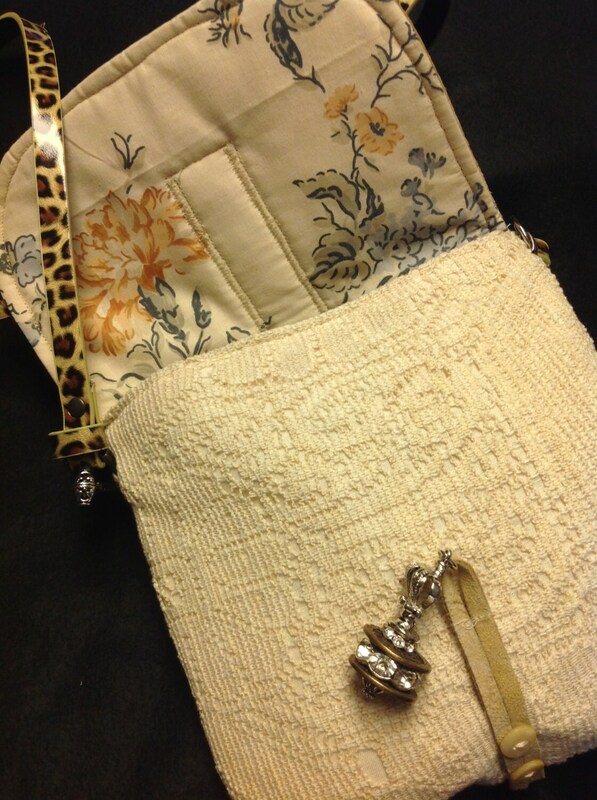 The body of the purse is made from a vintage lace bedcovering backed with muslin. There is a layer of batting between the outer and lining fabric to give the purse body. 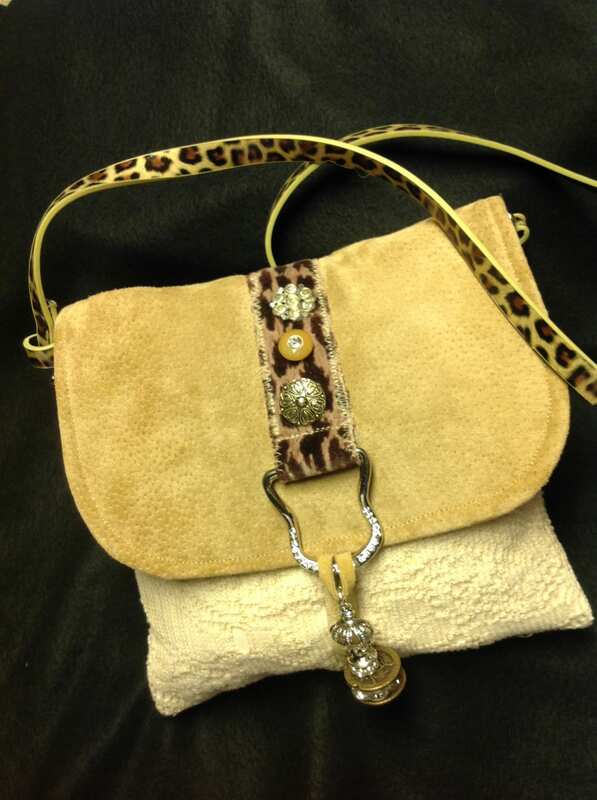 The flap is made of suede with a band of cheetah print fabric with a rhinestone metal loop attached. There are 3 vintage buttons sewn down the band. 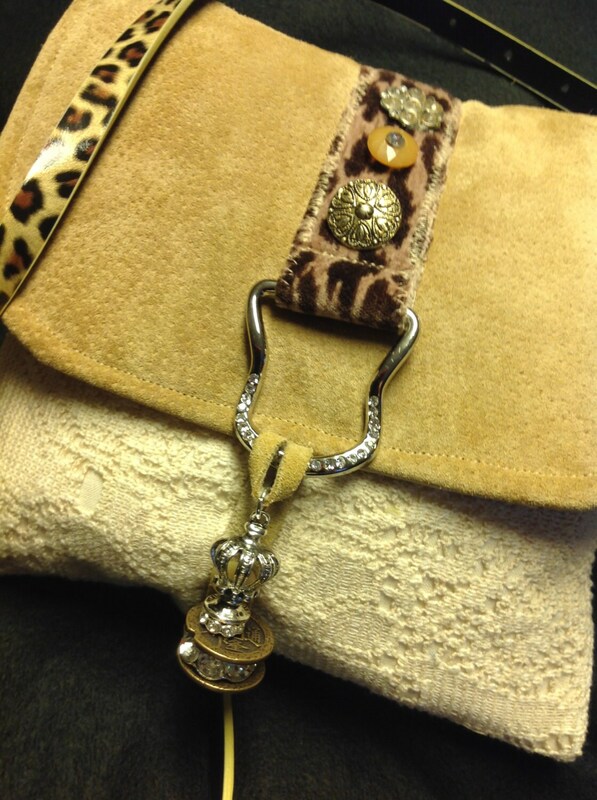 There is a large beautiful rhinestone jewelry finding attached to a strip of suede that is inserted thru the metal loop and hangs over the loop to hold the purse closed. The strap is an up cycled cheetah print belt. 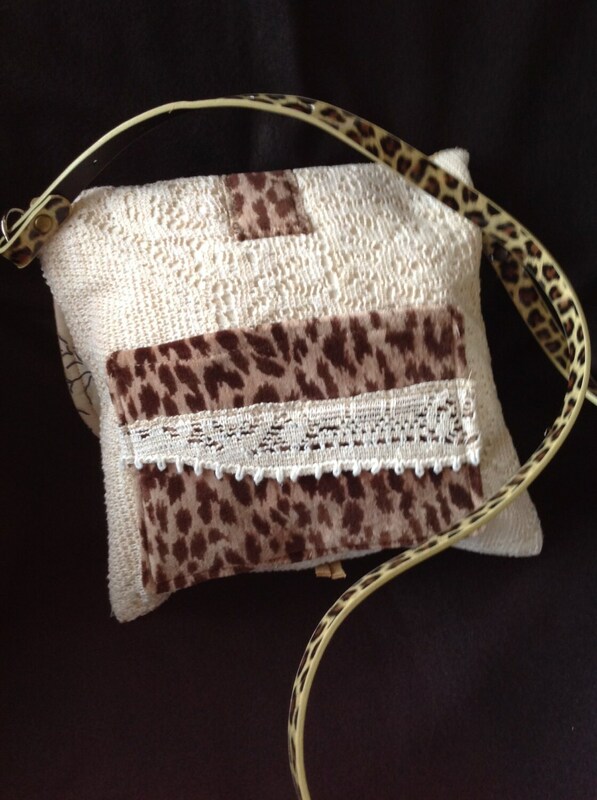 There is a small pocket on the back of the purse made of the same animal print fabric trimmed with a piece of lace. The purse is lined with a pretty cotton floral fabric in the rust and blue tones with an off white background. This is a pretty little purse that you can wear casual with your jeans or for a dressy night out on the town. Ships only within the contiguous United States. Free Shipping!